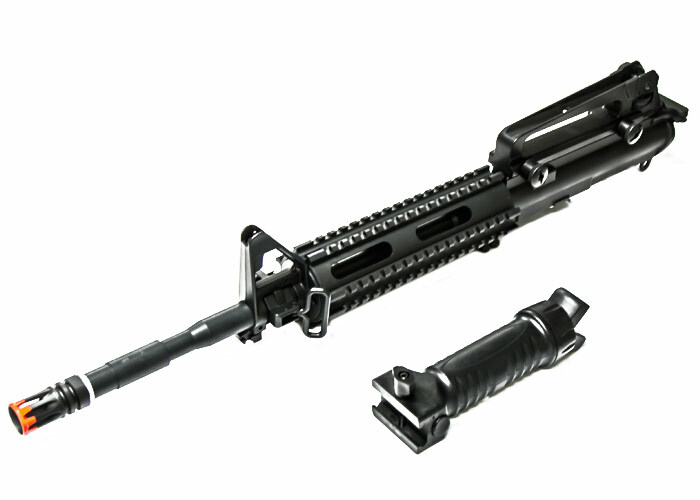 The ICS M4 RIS Complete Upper Receiver comes with everything needed to instantly change the upper receiver of an ICS M4. Just pop the front and rear pin out of the gun and switch the uppers for an M4 upper receiver with a complete rail kit.. 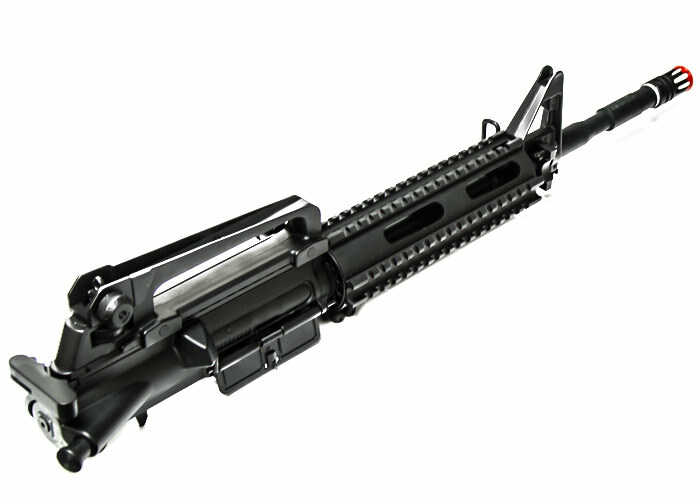 This kit comes complete with the upper receiver, R.I.S., front and rear sights, and complete upper gearbox. There is no sense in buying another gun when changing an existing one within a few seconds is far easier and cheaper. ICS will only work with ICS.